There are a variety of organisations in Ireland, Europe and beyond that are key to the investment funds industry. Responsible for the supervision of most financial institutions in Ireland including banks, a broad range of non-bank firms, exchanges and collective investment schemes. IDA Ireland provides information on the Irish economy including tax and investment advice for companies overseas looking to invest in Ireland. IFS Ireland is the banner brand for Ireland's international financial services industry. The brand has been created to represent and position Ireland’s vision and diverse IFS expertise to the world. The Department of Finance is responsible for the administration of public finance in Ireland, including the collection and expenditure of revenue. Euronext Dublin is recognised worldwide as the leading centre for listing investment funds with over 7,000 fund share classes listed. An information centre for Euronext Dublin listed and Irish domiciled funds.The Irish Stock Exchange's free source of global investment fund data for professional investors - access Net Asset Value, fund documents, and analytics. The Institute of Banking is the largest professional institute in Ireland. They are a community of 33,000 members who work in financial services in the Republic of Ireland and Northern Ireland. 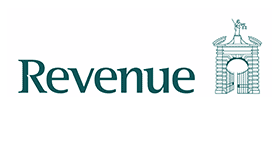 The Office of the Revenue Commissioners is the primary state body responsible for the assessment and collection of taxes and duties in the Republic of Ireland. Summit Finuas Skillnet supports the financial services sector in Ireland through ongoing investment in the development of the skills and expertise of the workforce. IFSC.ie is a one-stop shop aimed at people working and living in Dublin's Financial Services District. Aggregating property and jobs listings, services information, financial news and local information daily. EFAMA is the representative association for the European investment management industry. EFAMA represents 28 member associations and 62 corporate members. The European Securities and Markets Authority (ESMA) is an independent EU Authority that ensures the integrity, transparency, efficiency and orderly functioning of securities markets. The Directorate‑General for Financial Stability, Financial Services and Capital Markets Union is the Commission department responsible for EU policy on banking and finance. European Parliament is the only directly-elected body of the European Union. It is made up of 750 members. They are elected once every five years by voters across the Member States of the European Union. The Committee on Economic and Monetary Affairs (ECON) is a committee of the European Parliament. The European Central Bank is accountable for its actions to ECON. The Economic and Financial Affairs Council is responsible for EU policy in three main areas: economic policy, taxation issues and the regulation of financial services. The Expert Group of the European Securities Committee (EGESC) is a consultative entity set up in order to provide advice, expertise and to exchange views in the area of securities law. The International Organization of Securities Commissions (IOSCO) is an international body that develops, implements and promotes adherence to internationally recognised standards for securities regulation. The Financial Stability Board (FSB) is an international body that monitors and makes recommendations about the global financial system. The International Monetary Fund (IMF) is an organisation of 189 countries, working to foster global monetary cooperation, secure financial stability, facilitate international trade, promote high employment and sustainable economic growth, and reduce poverty. The International Investment Funds Association (IIFA) promotes the protection of investment fund investors, facilitates the growth of the investment funds industry internationally, and encourages adherence to high ethical standards in the industry. The Investment Association is the trade body that represents UK investment managers. Their 200 members collectively manage over £6.9 trillion on behalf of clients in the UK and around the world. 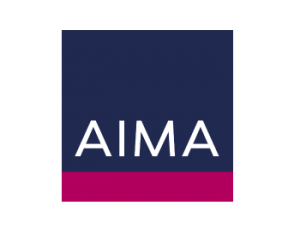 AIMA, the Alternative Investment Management Association, is the global representative of the alternative investment industry. AIMA’s hedge fund and private debt fund manager members collectively manage more than $2 trillion in assets. Better Regulation provides legal and regulatory information, with a comprehensive database of consolidated EU and domestic legislation, and an extensive library of official publications and expert commentaries.